Providing you the best range of jar mill, industrial ball mill and grease milling machine with effective & timely delivery. 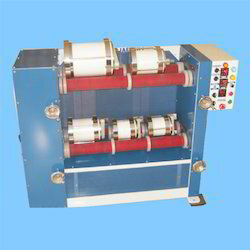 We offer a precision engineered range of Jar Mill (Roller Type) that consists of two sets of special rubberized rolls. Used specifically for the grinding and mixing of coarse feed to get fine powder, these mills are fabricated under the strict guidance of our experts. It grinds either soft or hard material giving satisfactory results on fine colors, chemicals, paints, drugs, minerals, clays, fibers and others. 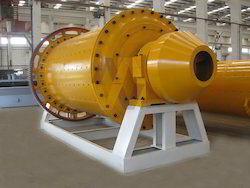 We are engaged in the manufacture and supply of a wide assortment of Industrial Ball Mill (Pharmaceutical Industry) that are used for grinding the crushed materials. These are employed to minimize the liquid humidity content of the material. 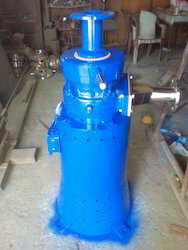 We offer outstanding quality Grease Milling Machine at industry leading prices. These machines are highly appreciated for their performance and precision. Appreciated for their easy installation, smooth functionality and optimum milling speed, offered machines are widely demanded in the market. Looking for Industrial Mill ?